It’s tasty, it’s healthy and it’s an awesome bowl of yum! 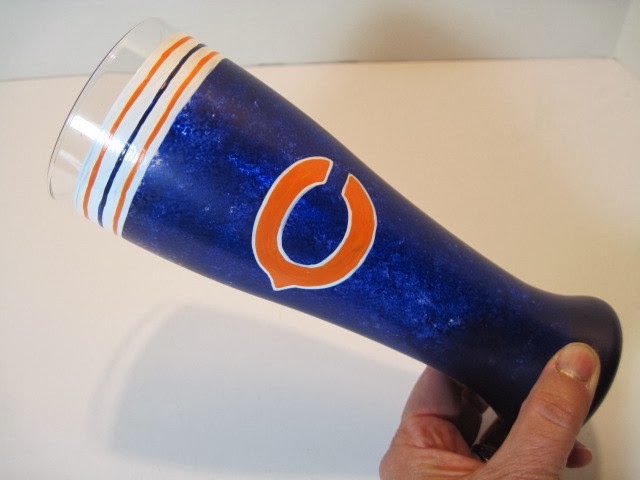 Make it for tailgating time or for football parties at home in front of the TV. Pair it with your favorite team (and beer) and you’ll be ready for an afternoon of good food and good fun! -In a large Dutch oven over medium heat, add the oil and brown the turkey meat, along with the fennel seed, thyme and sage, until it’s nicely caramelized. 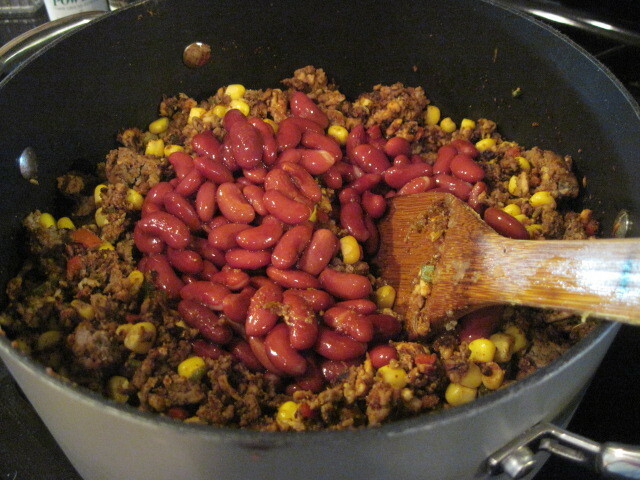 -Add the grated onion (juice included), diced peppers, corn and beans. 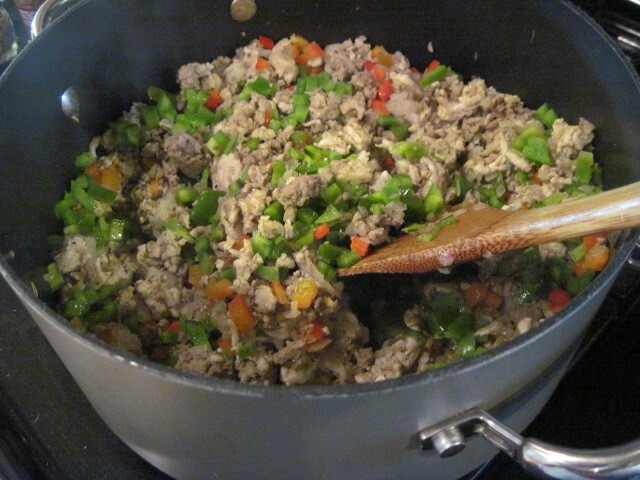 -Stir to combine and cook a few moments for the peppers and onion to soften slightly. -Add the tomato purée, sauce and beer. 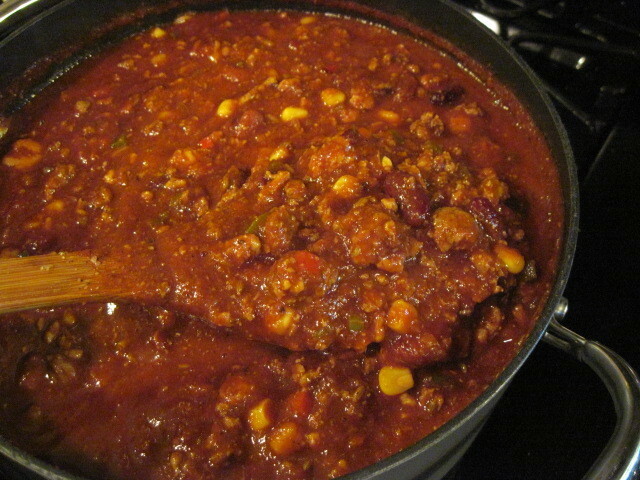 -Turn the heat to low and stir well to combine. 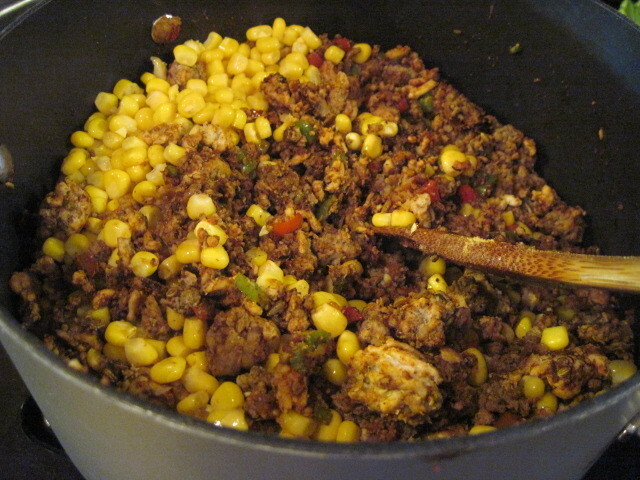 -Add the remaining ingredients and continue to simmer, covered, stirring occasionally. 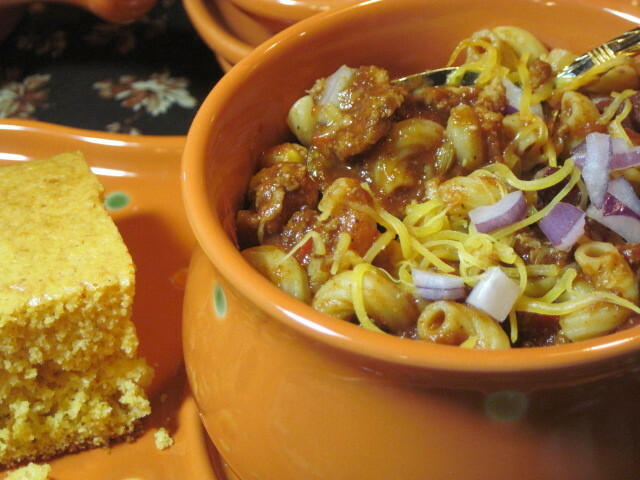 – To serve you can either mix the macaroni and chili together or you can spoon the macaroni into a dish first and top with the chili mixture. 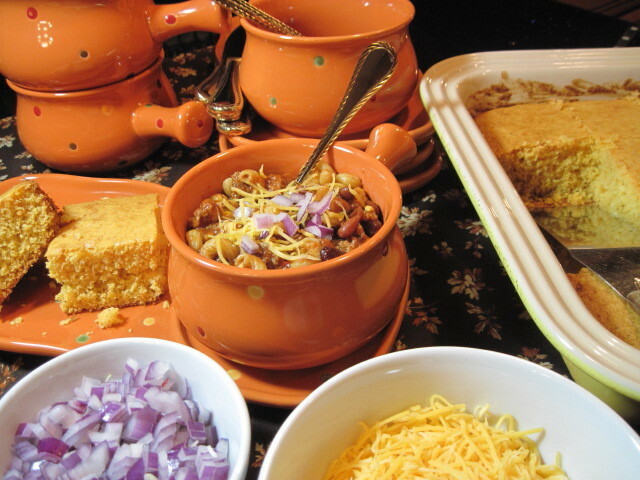 -Garnish with chopped red onion and grated cheddar cheese (if desired) and serve alongside some hearty corn bread. 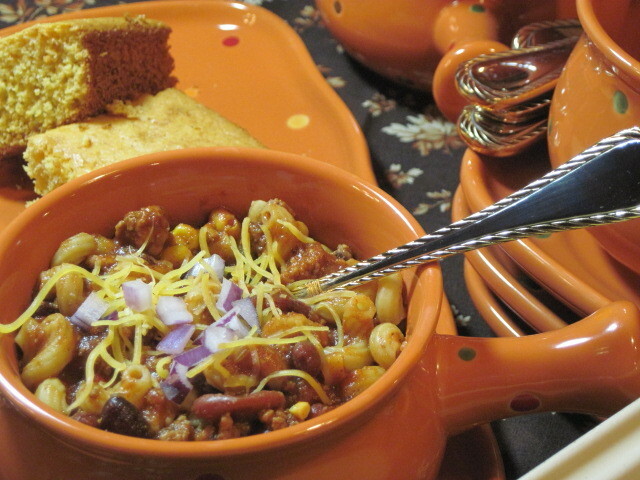 I hope you’ll enjoy this recipe and let me know what you think. This recipe would certainly also score big points at a Super Bowl party. You might want to keep it in mind! BTW, if you’re interested in any of my painted glassware or ceramic tile items, you can email me for pricing information, or visit my shop. You can also check out my portfolio pages. Looks great!!! Adding to the to-make list! I love that it has so many veggies! OMG, I think one bowl of this would fill me for a week. What a hearty dish.